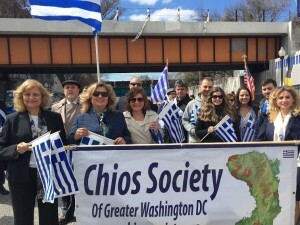 The Chios Society Washington DC attended the Greek Independence Day Parade in Baltimore, Maryland on March 31, 2019. 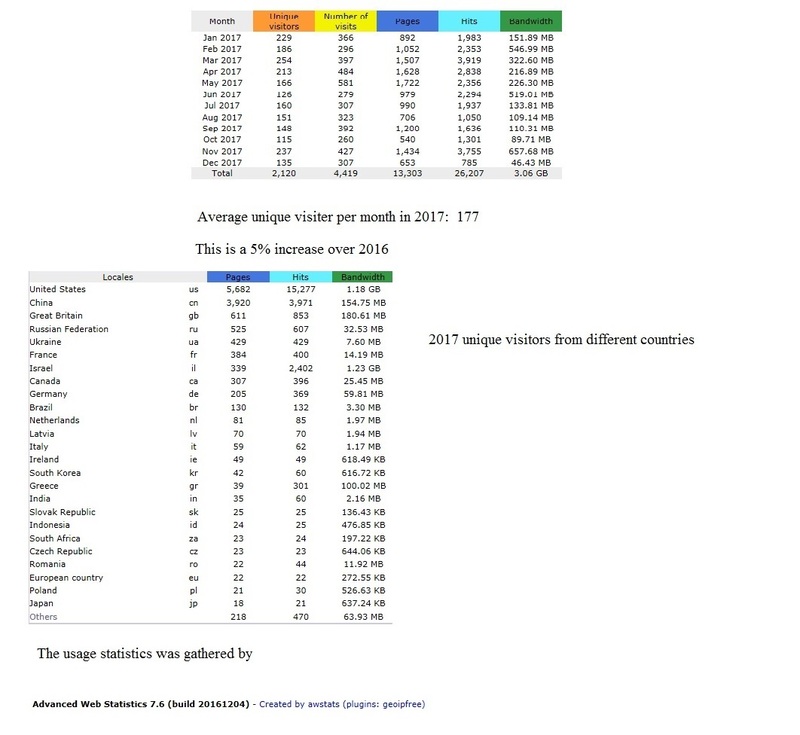 Please note that you can double click each picture to make it bigger and then click on the browser’s back arrow to go back. 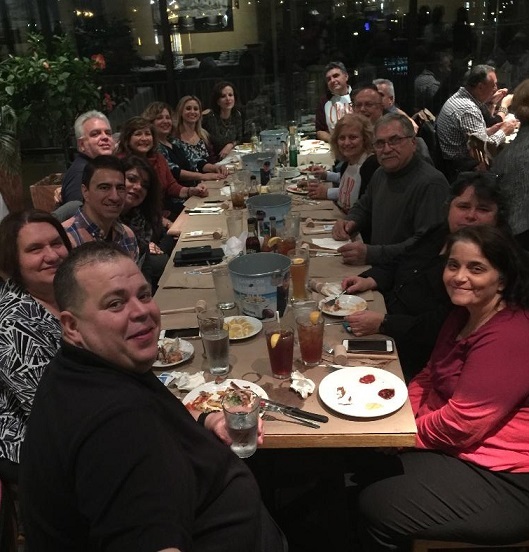 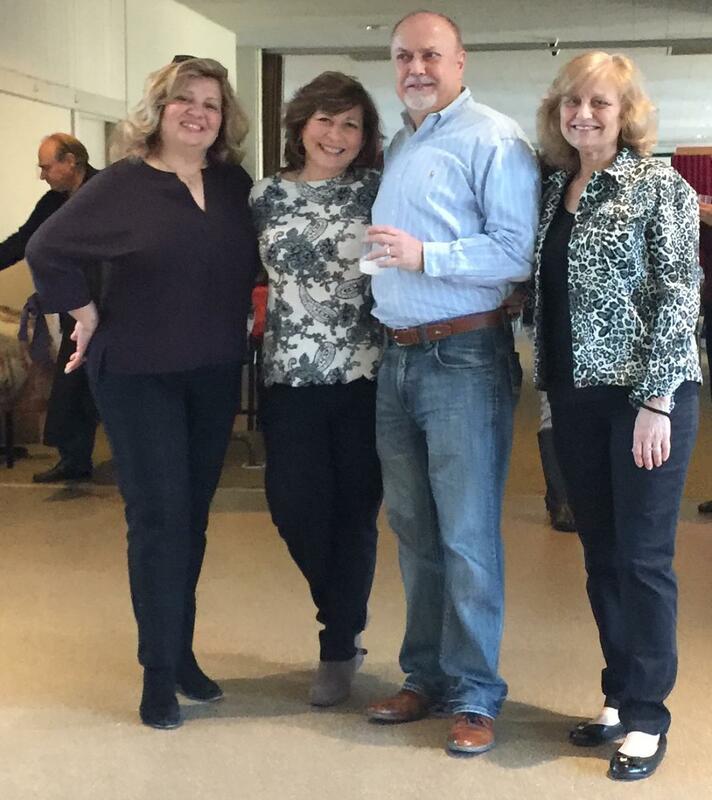 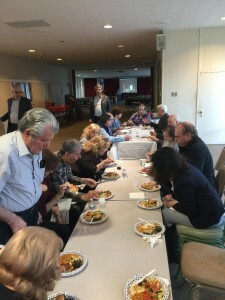 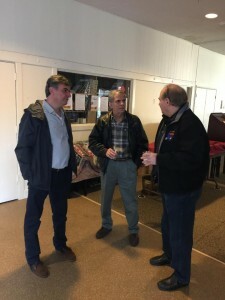 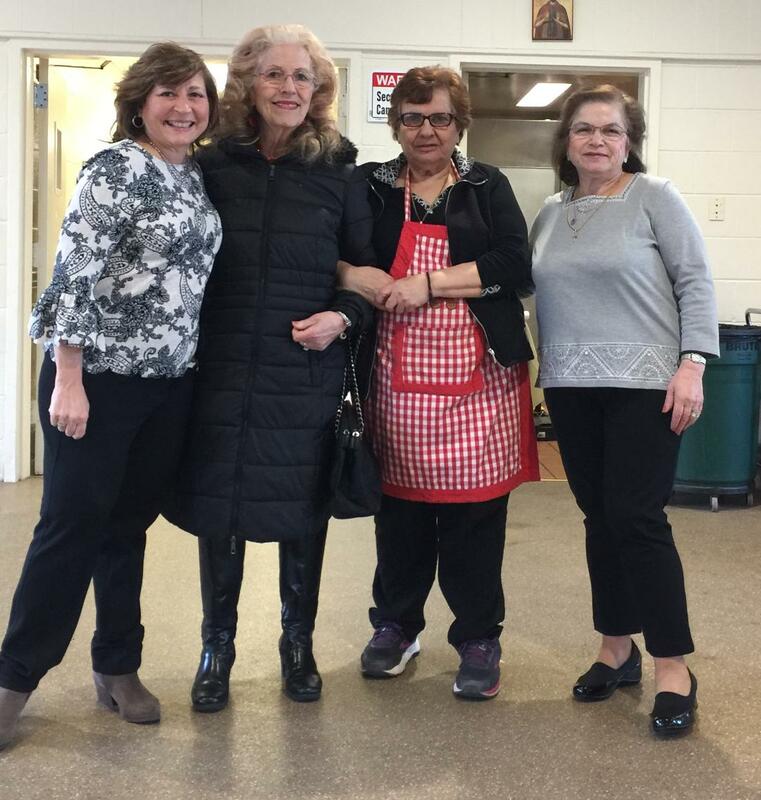 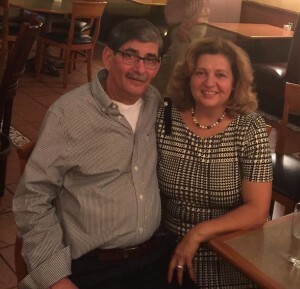 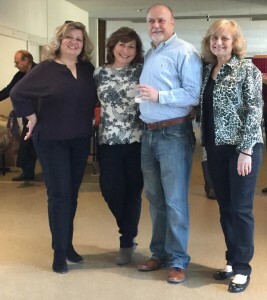 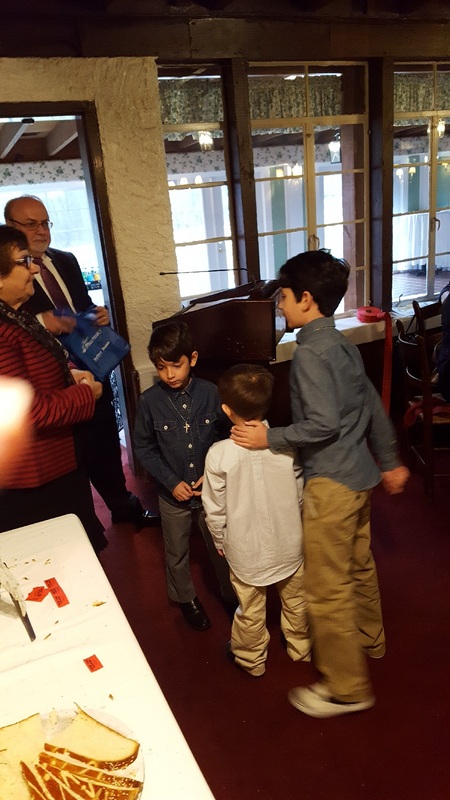 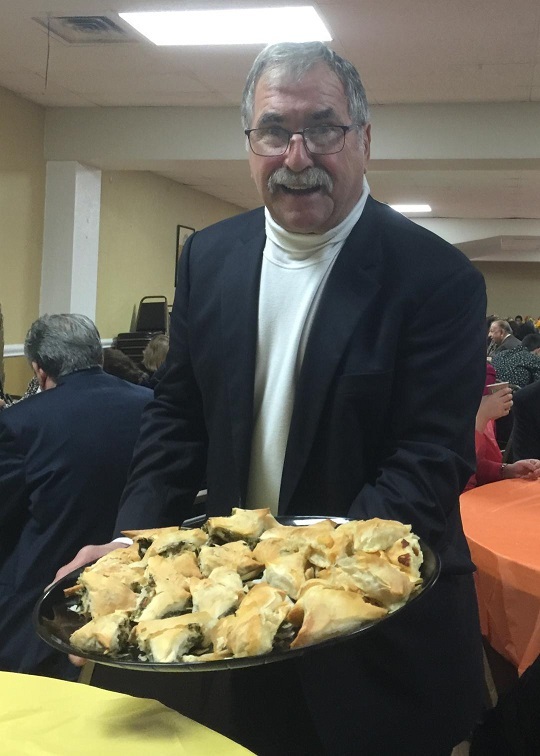 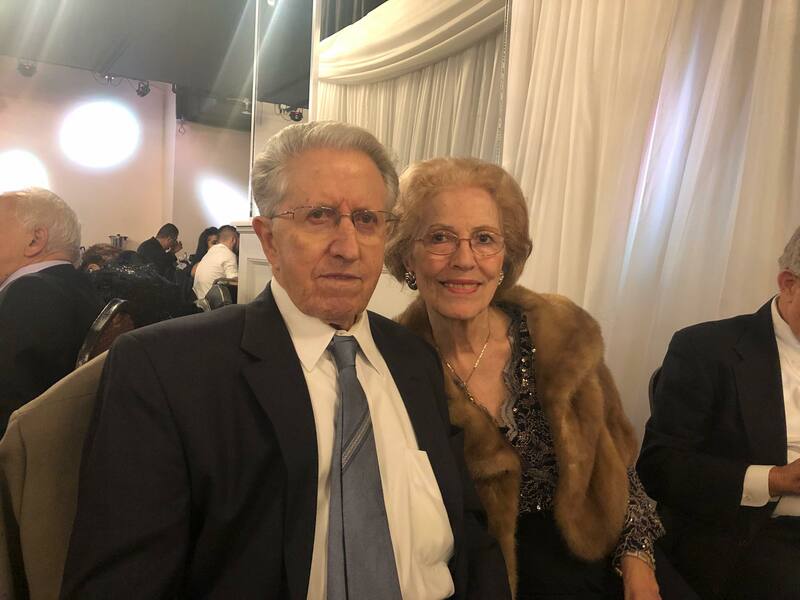 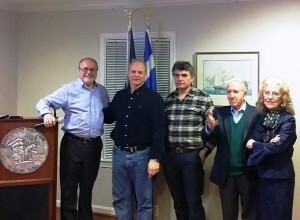 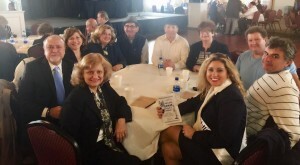 Chios Society of Washington DC held its dinner/movie night on Saturday, March 16, 2019 at St. George Greek Orthodox Church, Bethesda, MD. 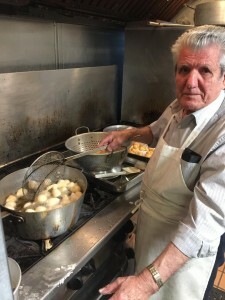 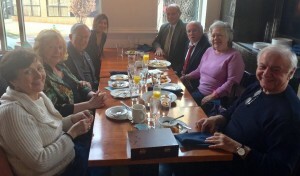 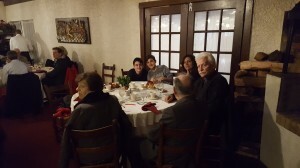 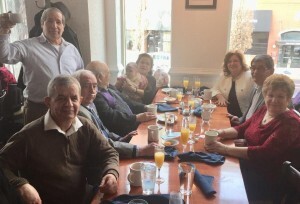 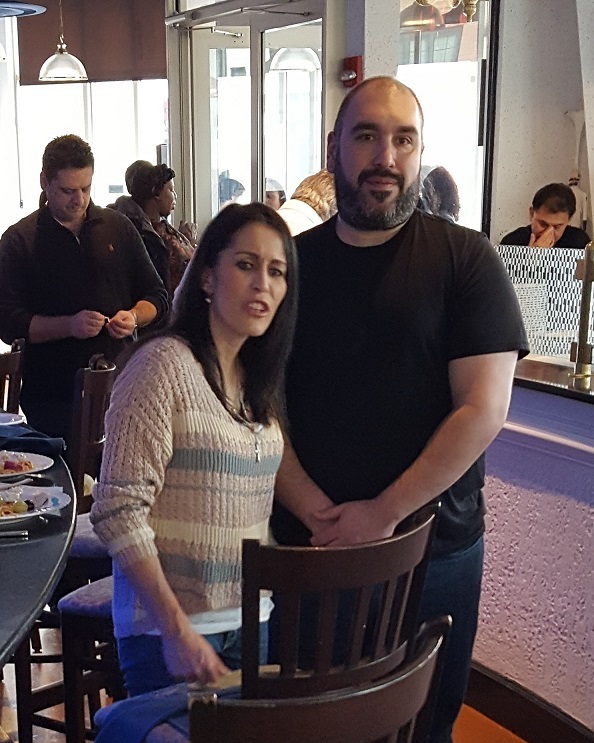 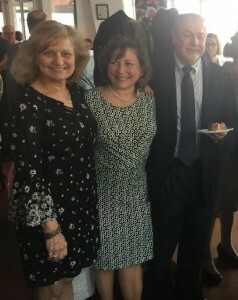 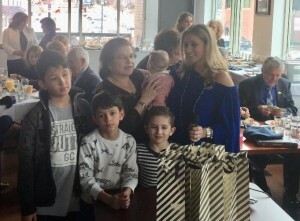 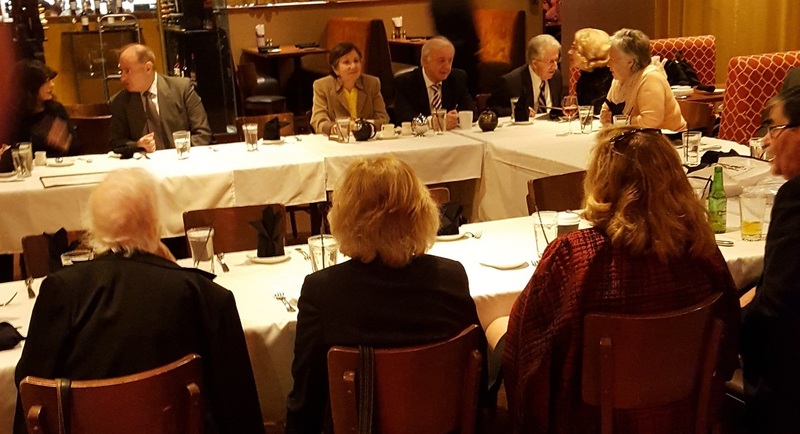 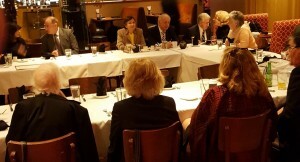 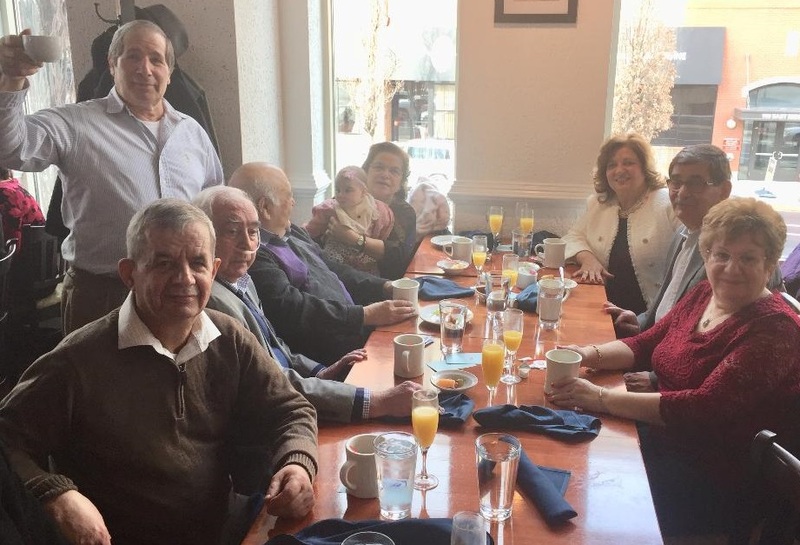 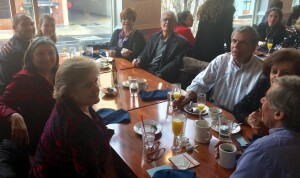 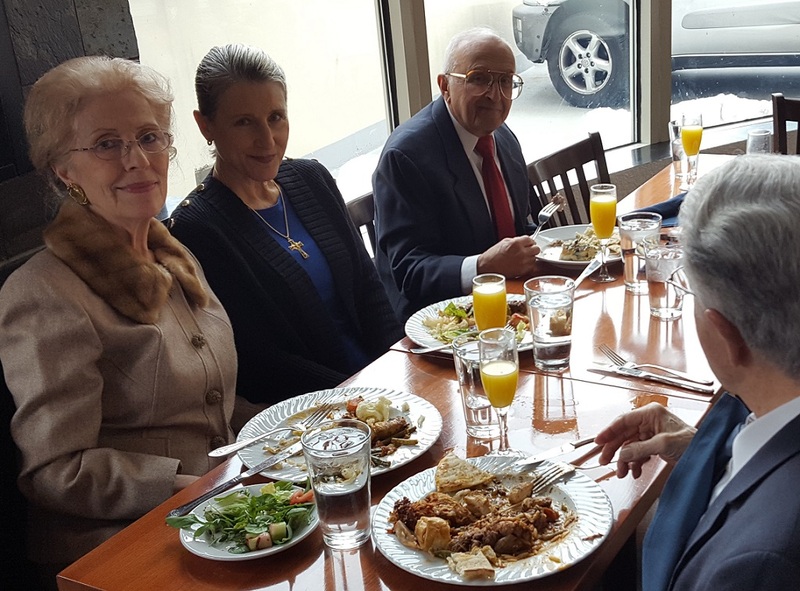 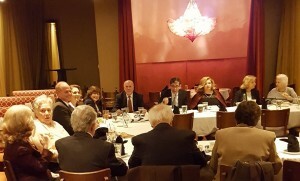 The 2019 Vasilopita Luncheon was held on January 27, 2019 at the Trapezaria Restaurant in Rockville, Maryland. 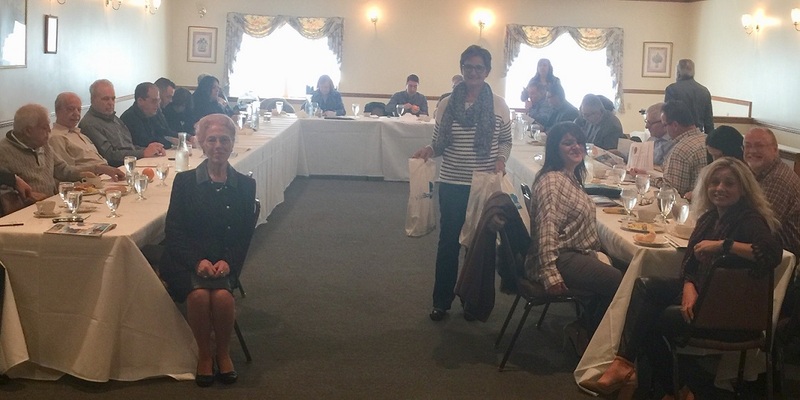 The turn out was great: 91 people attended. 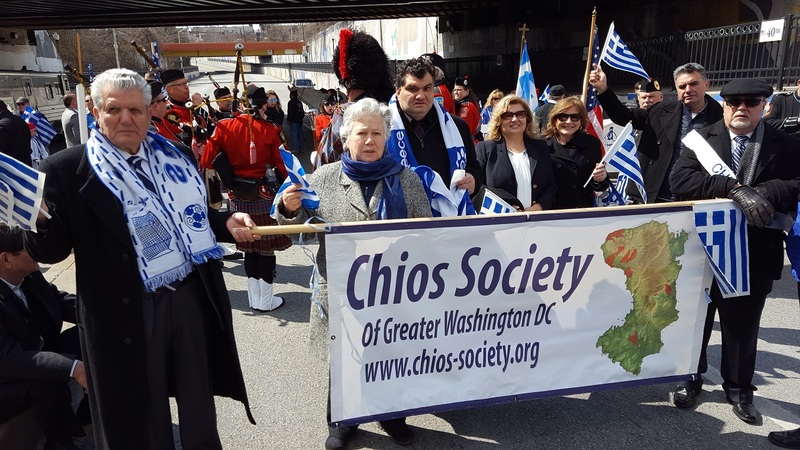 Members of the Chios Society Washington DC attended the National Chian Convention held in Baltimore on the weekend of November 9, 2018. 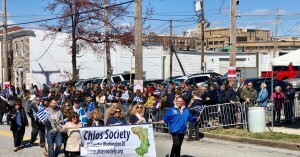 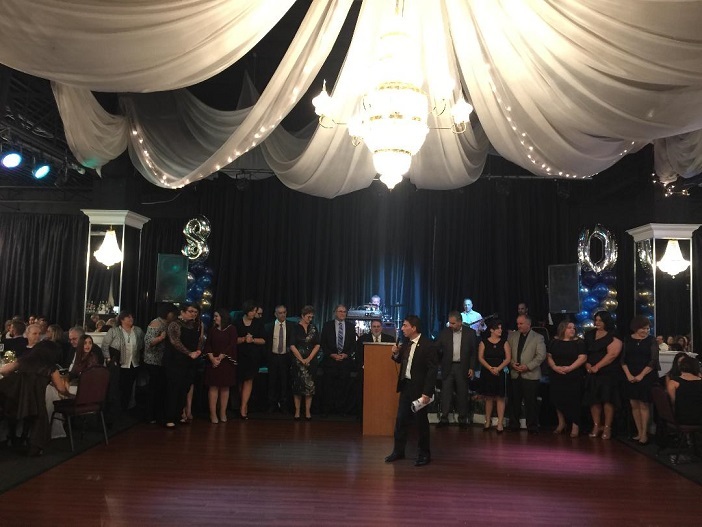 We also celebrated the 80 Anniversary of the United Chian Societies of Baltimore. Officers and members from many different Chian Societies attended: California, Illinois, Baltimore, Washington D.C., New England, New Jersey, New York, West Virginia, Pennsylvania. 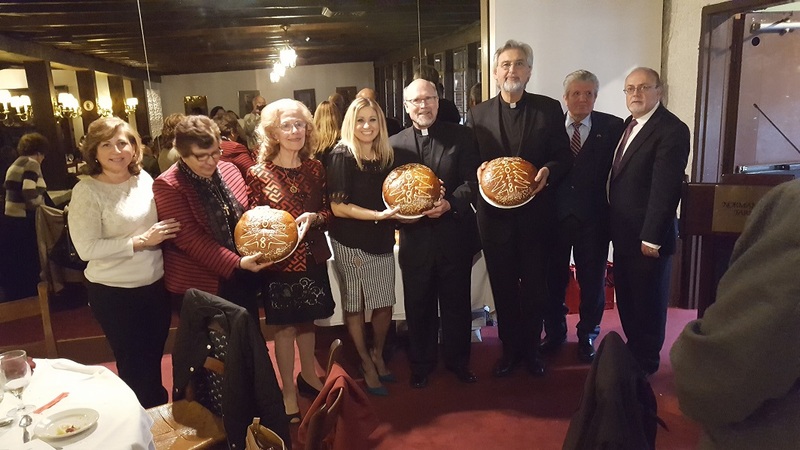 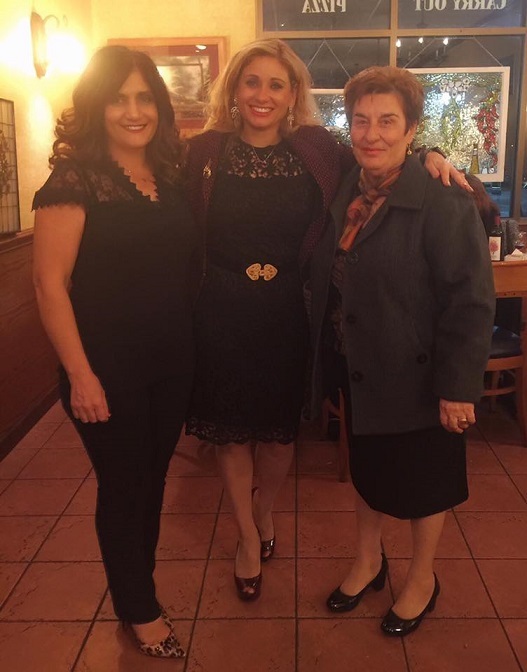 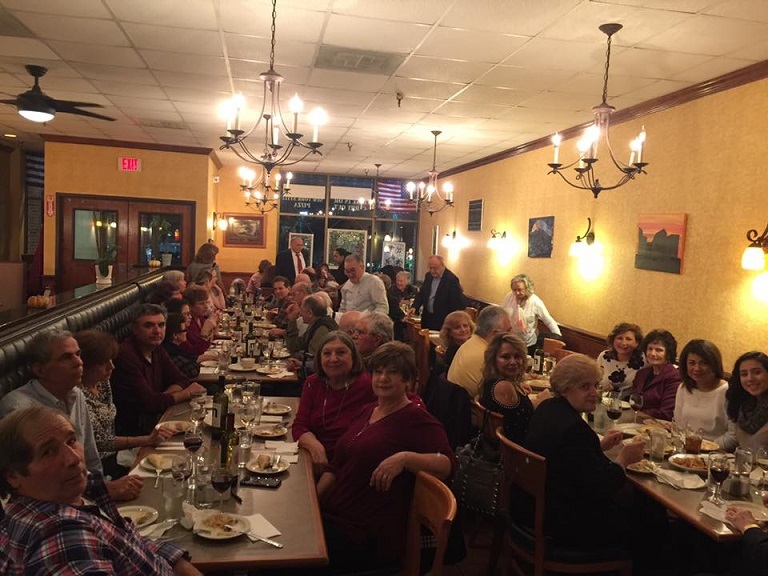 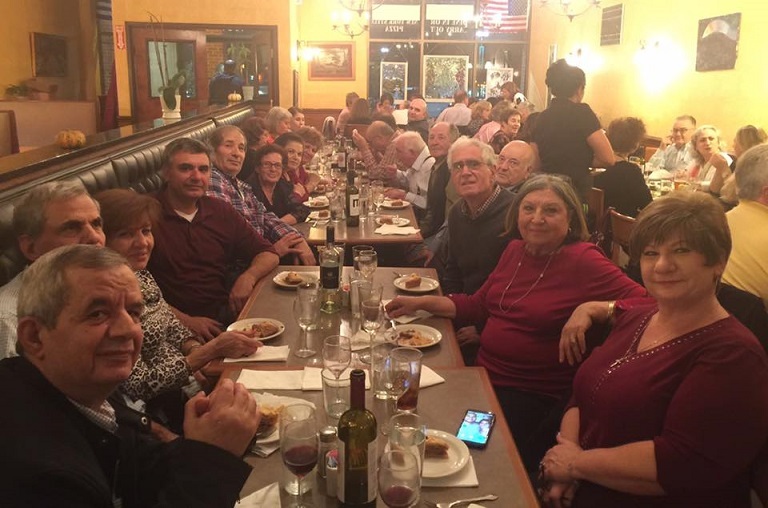 The Chios Society of Washington D.C. held a funding raising dinner at La Casa Restaurant in Alexandria, VA on Sunday, November 4, 2018 for the Ark of the World in Chios. They care for orphans and abused children. Many thanks to Diane and Costas Monis for providing free food for this event. 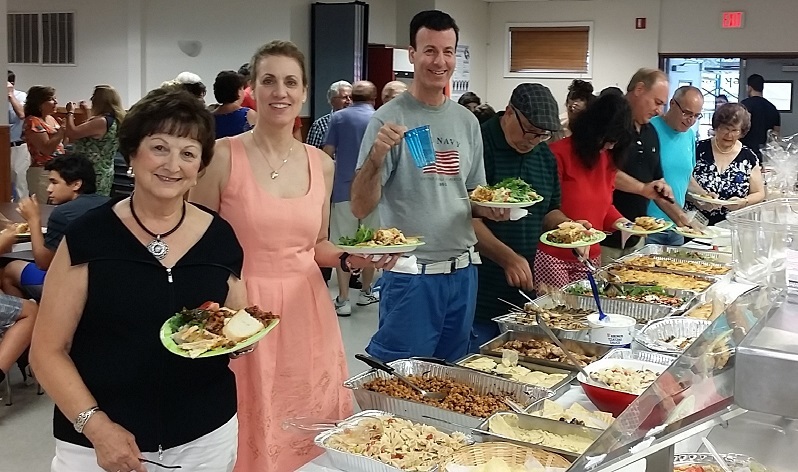 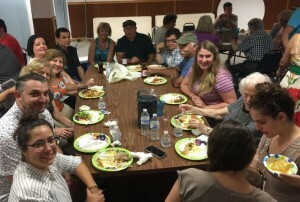 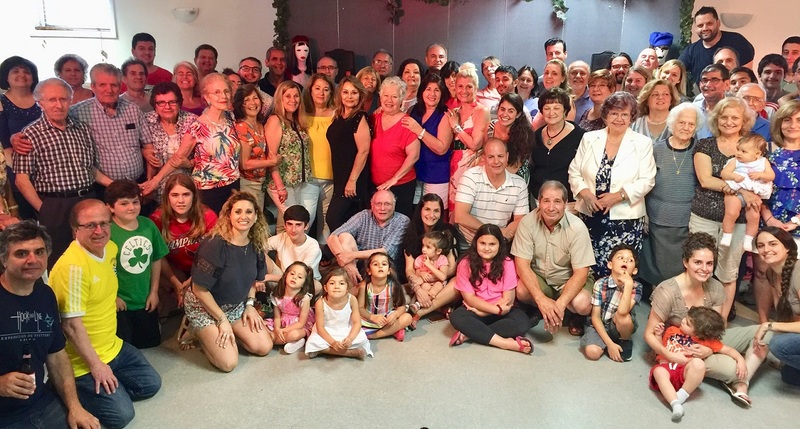 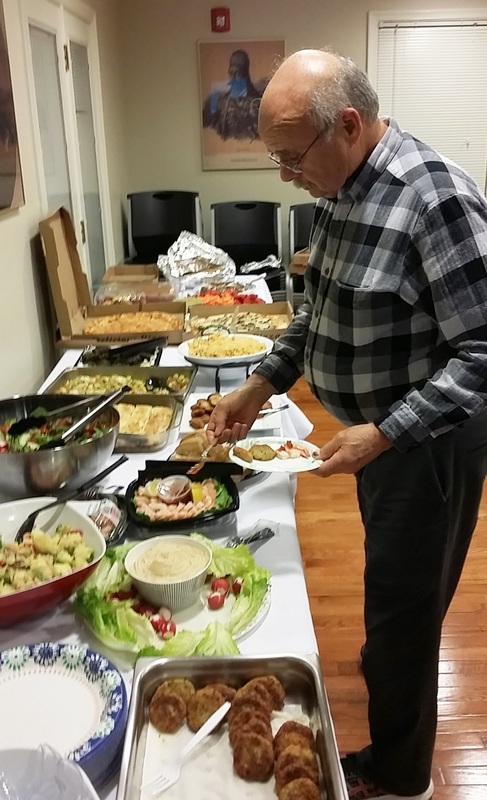 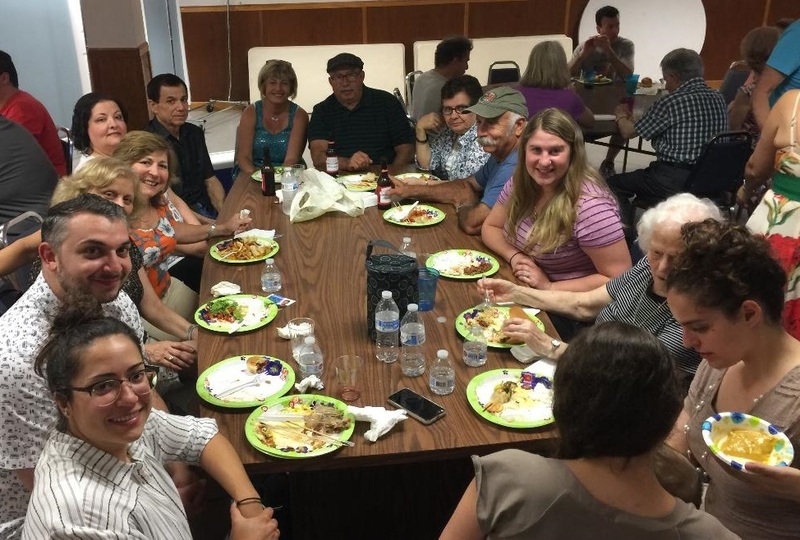 The 9th Annual Chios Washington DC Potluck Picnic was held on Sunday, June 24, 2018 at St. Theodore’s Greek Orthodox Church Hall in Lanham, Maryland. 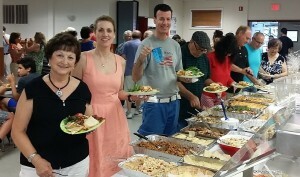 The food was delicious and the attendance was great with many children and young adults. 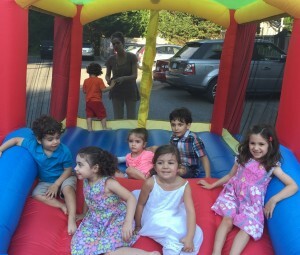 Please note that Mr. and Mrs. Likouris provided the moon bounce for the children. 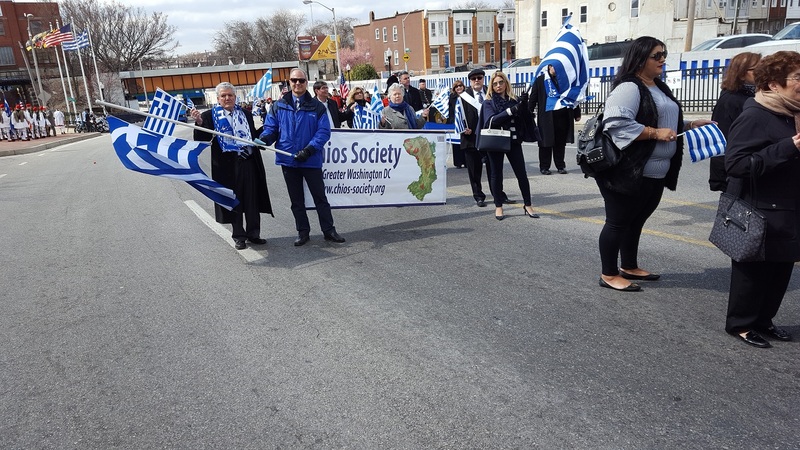 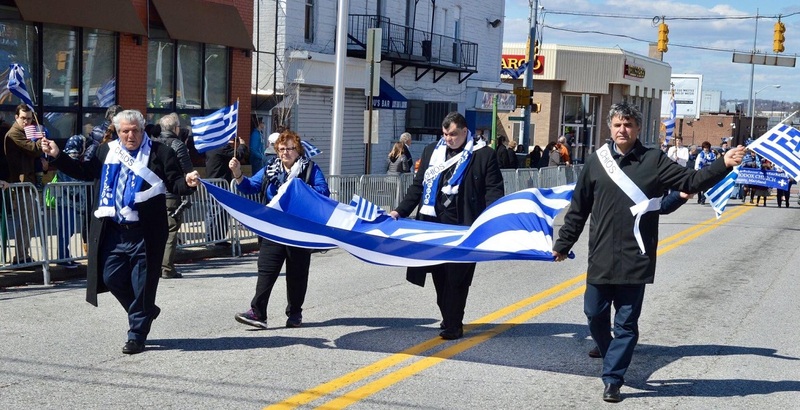 Chios Washington DC members participated in the Greek Independence Day Parade in Baltimore, MD on Sunday, March 25, 2018. Please note that you can click on a picture to make it bigger. 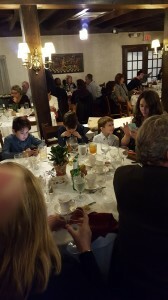 Then use the back arrow to go back. 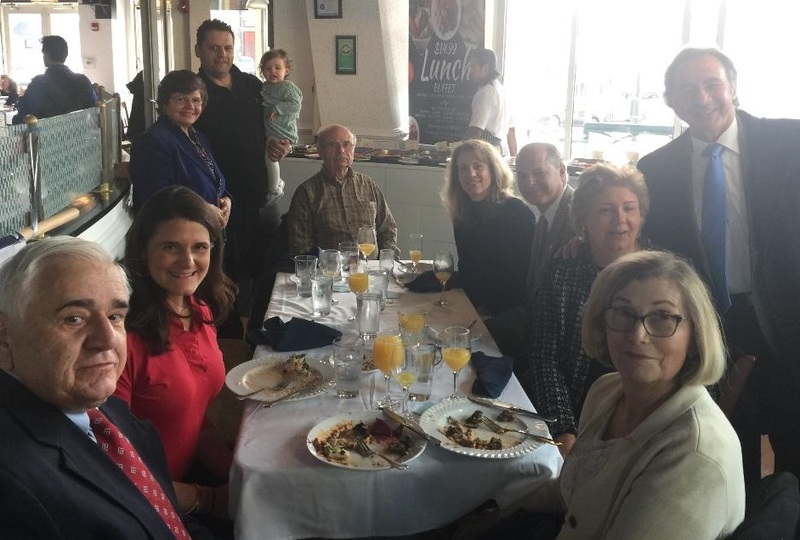 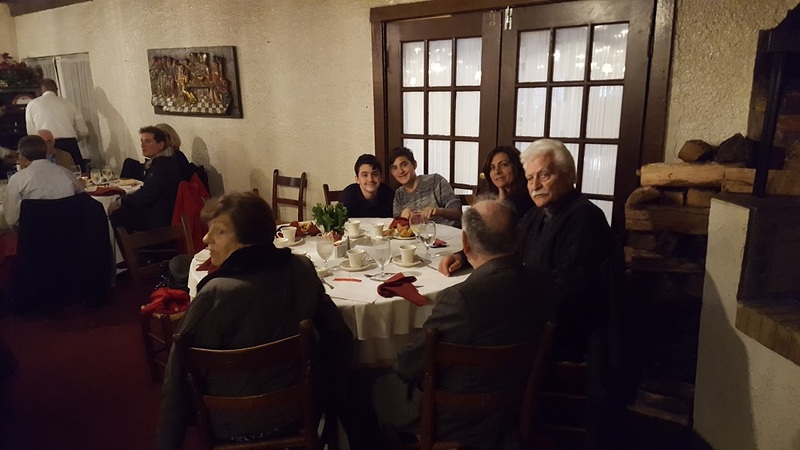 The lunch to commemorate the liberation of the island of Chios was held on Sunday Nov. 12, 2017 at Crave Restaurant at Montgomery Mall. 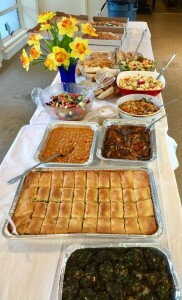 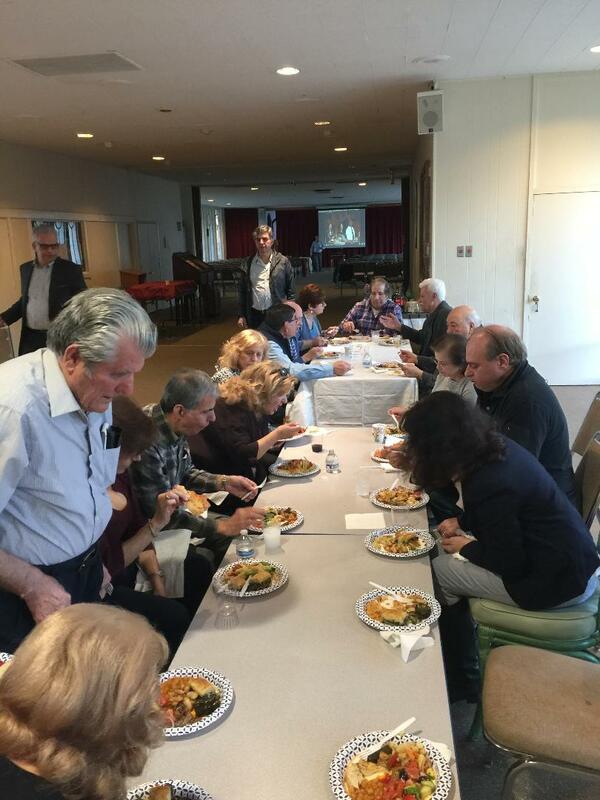 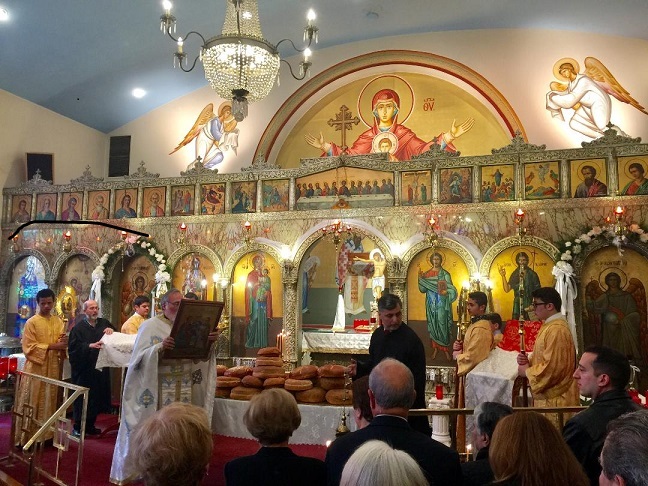 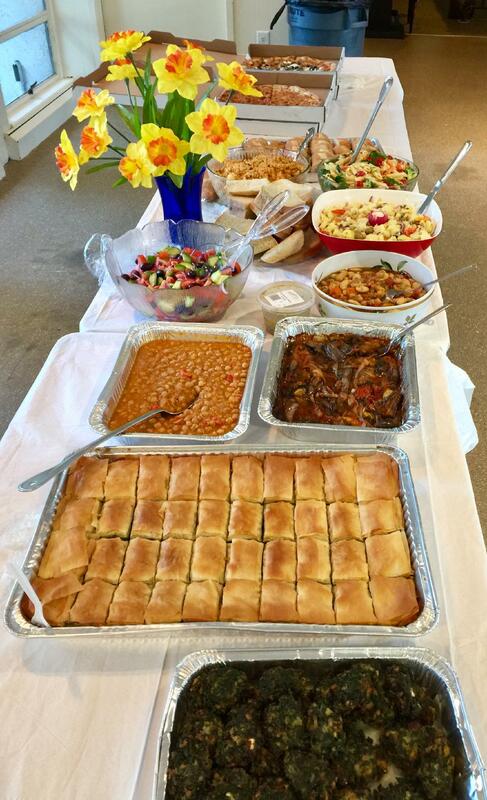 The lunch followed the Artoklasia Service at St. George Greek Orthodox Church in Bethesda, Maryland. 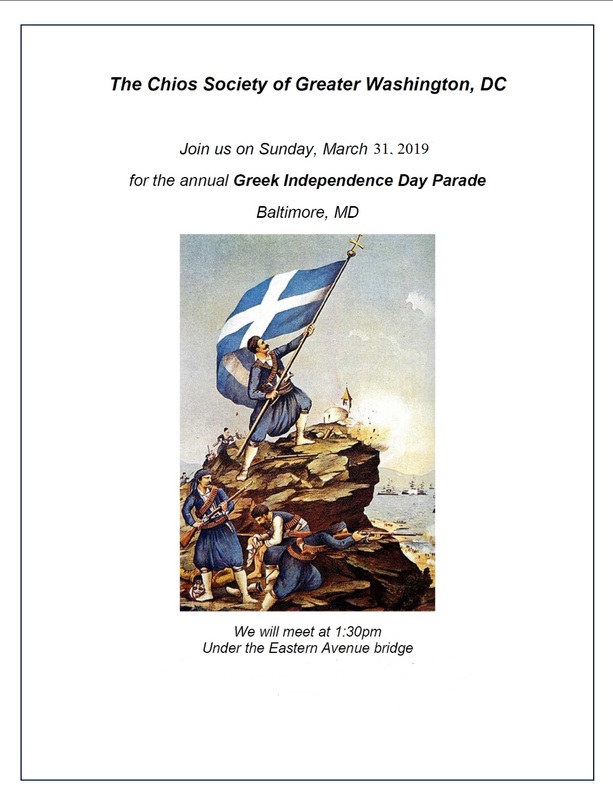 The Greek Navy liberated Chios in November 1912 in a hard fought but brief amphibious operation. The Ottoman Empire recognized Greece’s annexation of Chios and the other Aegean islands by the Treaty of London (1913).